Assaults on Metrobus drivers aren't unusual and have been on the rise. The union representing bus drivers says Tuesday's bus hijacking demonstrates why they've been asking for a greater police presence on city bus routes. WASHINGTON — The union representing Metro workers has called the transit system “ineffective” in addressing violence against bus drivers and wants a greater police presence to help curb assaults. The union Amalgamated Transit Union, representing more than 9,000 of Metro’s operators, station managers, clerks and mechanics, said that the hijacking of a Metrobus Tuesday is just the latest attack against drivers. “The list of incidents of Metro workers being spat on, slapped, stabbed, tased or shot at continues to grow longer every week,” a statement from the union reads. 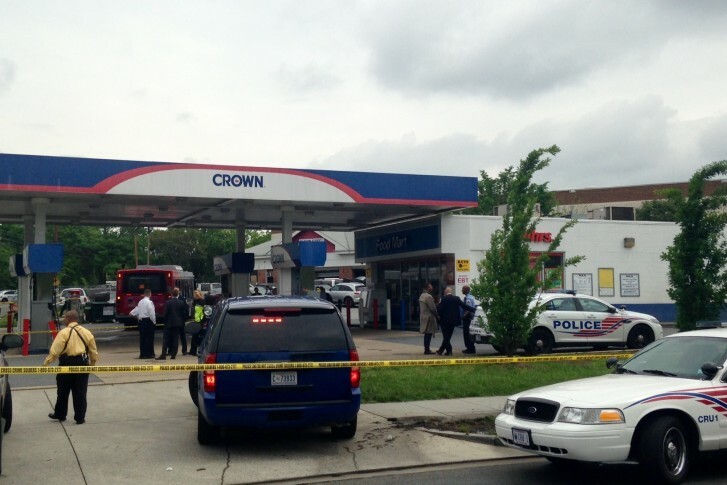 A Metrobus driver is recovering after his bus was commandeered by an armed man in the Deanwood neighborhood Tuesday morning. Keith Loving, 30, was arrested on a charge of second-degree murder for the death of 40-year-old Anthony Payne of Washington who was hit by the stolen bus while Loving was behind the wheel. It was a three-minute ordeal that threatened the safety of the bus driver and his passengers. “There was a weapon of some sort that was displayed. The driver of the bus was forced off the bus,” said Assistant Chief Peter Newsham of the moments before the bus was hijacked. The injured driver was able to hit an emergency button before exiting the bus, which Metro said triggers a distress call to bus operations, starts GPS tracking and displays the message “Emergency — call 911” on the bus’ exterior. According to the union, 170 assaults on drivers were reported in 2014. That number jumped 73 percent in 2015. But Metro claims the problem is slowing down. In a statement to WTOP, Metro spokesperson Sherri Ly said assaults on bus drivers are down 30 percent this year when compared to last. “Recently, Metro made the use of Plexiglass shields mandatory to protect operators. By the end of this year, more than a third of Metro’s 1,500-bus fleet will be equipped with shields, and every new bus Metro orders will be equipped with a shield from the factory,” she said. Ly said transit police work closely with drivers and ride buses every day to address security and safety concerns. “Metro has understood that assaults have been a problem in the past,” said David Stephen, with the Amalgamated Transit Union, after the incident. The union wants Metro Transit Police officers to periodically get on board. “If there were a reputation for police to pop in on buses or on trains and just be around, then you’d see it … likely that these kinds of incidents would happen less frequently then they do,” Stephen said. Colleen Kelleher and Amanda Iacone contributed to this report.